This prompt has me beat. I have no idea what to write about ice cream. I love ice cream but do not eat it very much due to the fact I would end up being a giant ice cream hippo if I did. So I will just share some ice cream related thoughts with you. 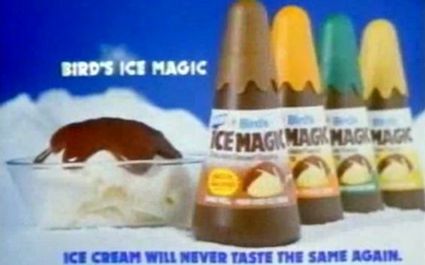 Ice cream in my teens was easy! A pot of haggan Daz all to myself while watching a film! Usually the Belgium chocolate flavour! I was very late in finding dessert parlours such as “The Works” and “Treatz“! This was probably good for my bank balance and waist line. But now I have found them I highly recommend a visit! I have always said I would like to try and make my own ice cream but so far I have never given it a try. I have no idea what has stopped me. I always look at rows of ice cream flavours and think I should try new ones…. but I am so worried that I will be disappointed with my choice, that I end up picking old favourites. Anything with chocolate, raspberries or mint! I did try a Kinder Bueno flavoured ice cream at “The Works” last time I visited and I will choose that too from now on. I also found recently that the best way to share a carton of ice cream is to cut it up in to equal parts. The container and all. 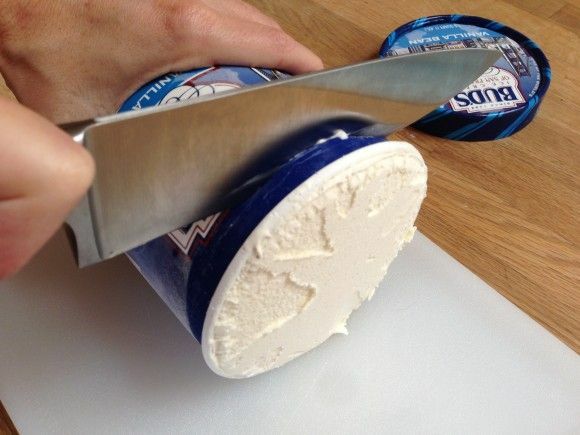 Much easier than trying to dish up hard ice cream! That is assuming I want to share of course! So having written this, I have concluded I need to eat more ice cream and I also have a craving to visit a dessert parlour!